We had not really heard of Amy until about two years ago when we spent the day helping Tift at KGSR. Tift introduced us to her but we thought she was just a friend - had no idea that she was a singer as well. When she seemed to be responsible for tuning Tift's guitar maybe that should have been a clue. She opened the show that night at the Parish and she played some good songs in that 30 minute set. 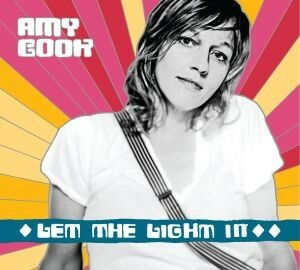 I picked up "The Sky Observer's Guide" a few months later and a week ago got her brand new disc "Let the Light In". We caught her at SXSanJose as detailed earlier in this blog but now that I have the disc it's given me a much better chance to listen to the new songs.